November is time for shopping, especially as we get closer to the end of the month when the Holiday Shopping Season begins. 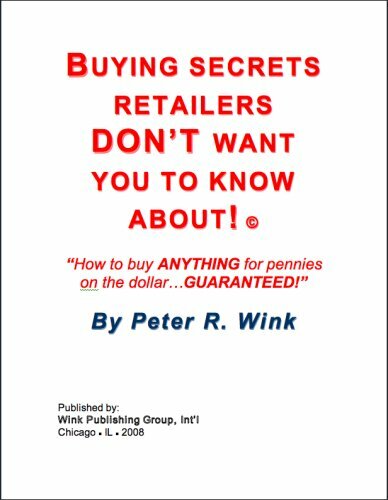 So while the retailers are working their magic to get you into the store with all their most awesome sales, there may be a few things that we as consumers should pay attention to regarding the way retailers affect our buying habits and control our purchases. Bulk Buying Required: when retailers ask you to buy more than what you need in order to qualify for a deal. “10 for $10” is common, as is “buy 2, get 1 free”. Bulk Buying Suggested — But Not Required: is the item “10 for $10” or “1 for $1”? Mispriced Items – Heck, Web Watch will throw out a common tactic at bars and restaurants — they don’t provide the pricing on their drinks menu or daily specials. Item in Front of the “Sale” Tag on the Shelf Is Not on Sale: really, could the stock clerk really be that lazy not to put the sale tag in front of the right product? Or at least not cover up the shelf label that tells us the price for an item that we ARE looking to buy? Cheap Items Are Hardest to Reach – the most expensive items are always conveniently placed at eye level. Putting Items Coveted by Children Near the Checkout – Actually, Web Watch kind of likes this one. Don’t have a problem with this complaint at all. Promoting Christmas Items Before Thanksgiving – before Thanksgiving? Cripes, we’re seeing some retailers putting Christmas items out in late September. Even the local HALLMARK Store has their Christmas ornament display up in July every year. We’re all about participaing in all gift-giving holidays, but Christmas in July is a bit excessive. How To Get Rid of Unwanted Books: Sell them Online! This WEB WATCH entry was posted in 10 Things, shopping and tagged 10 Things, business, shopping on November 2, 2010 by web gangsta.